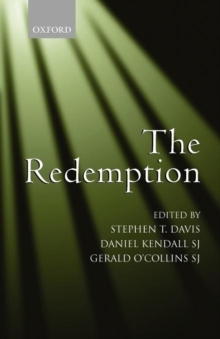 This interdisciplinary study follows an international and ecumenical meeting of twenty-one scholars held in New York at Easter 2003: the Redemption Summit. After an opening chapter, which explores seven central questions for writers on redemption, five chapters are dedicated to the scriptural roots of the doctrine. A section on the patristic and medieval periods then examines the interpretation of redemption through the centuries. The volume moves on to foundationaland systematic issues: the problem of horrendous evil, karma and grace, and differing views on justification. Studies on the redemption in literature, art, music, and preaching form the final part. There is a fruitful dialogue between experts in a wide range of areas and the international reputationof the participants reflects and guarantees the high quality of this joint work. The result is a well researched, skilfully argued, and, at times, provocative volume on the central Christian belief: the redemption of human beings through Jesus Christ.